The state of Pennsylvania is slowly murdering longstanding political prisoner Mumia Abu-Jamal by willful neglect. He’s seriously ill with hepatitus C.
Untreated, it can cause chronic potentially fatal liver disease. Attorneys Bret Grote and Robert J. Boyle representing Mumia say it’s “the underlying cause of his health crisis,” including skin lesions, painful rashes, open wounds and severe swelling. On August 2, they filed a lawsuit “seek(ing) injunctive relief for prison medical staff’s failure to treat” his active disease. Despite clear evidence he needs proper treatment as soon as possible, he’s denied it. Medications are extremely expensive. A 12-week Harvoni regimen costs over $95,000. Sovaldi treatment costs $84,000 or a $1,000 per pill. Prisoners in America receive deplorable medical treatment, denied access to proper medications able to help them. New remedies for hepatitus C are extremely effective. Prison authorities claiming cost as the reason for denial is red herring cover for wanting Mumia dead – execution by neglect. The longer he’s denied, the more likely he’ll perish behind prison walls. Inmates who fail to fully exhaust administrative remedies may not subsequently litigate those claims in federal court, and this prohibition extends to requests for injunctive relief. “(T)he Court recommends (his) motion for injunctive relief be dismissed without prejudice” – meaning litigant is free to pursue further legal action. For a man denied judicial fairness for over 30 years, chance for fair treatment now is slim to none. His courage throughout his ordeal shows he’s no quitter. …(W)hite terrorism, perpetrated through lynching, was the peculiar American custom that wasn’t spoken of in polite society. So, quietly (except for Ida B. Wells), Black bodies hung and burned by the thousands across America, the courts and law deeming it mere local custom, beyond their control. The current custom is locking thousands of US political prisoners behind bars longterm, notably heroic Black activists like Mumia – disgracefully framed for a murder he didn’t commit, systematically denied justice by a vicious, racist society, wanting his powerful voice for justice silenced. 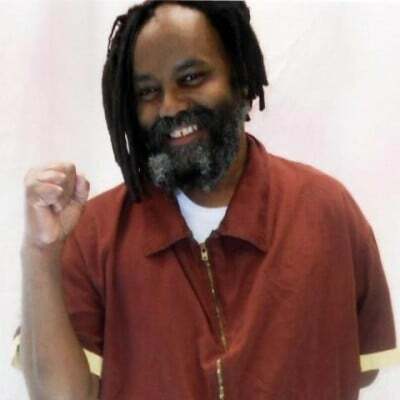 Noelle Hanrahan said his lawyers intend appealing Mehalchick’s ruling straightaway on procedural and substantive grounds in the Third Circuit US District Court – his case to be heard by Judge Robert Mariani, urging him to grant Mumia the vital treatment he needs to ease his suffering and help him survive. Otherwise, Mehalchick’s decision is a likely slow-motion death sentence. She falsely said Mumia “fail(ed) to fully exhaust administrative remedies.” His attorneys fully complied with their procedural obligations. Her claim that denying Mumia the care he needs won’t “irreputabl(y) harm” him shows contempt for his health, welfare and fight for survival, as well as indifference to his pain, suffering and medical neglect. In March, he nearly died from acute renal failure. Diagnostic tests show “organ failure (skin) and organ damage (liver), open wounds, hemoglobin deficiency, extensive fevers, and continued weakness,” Hanrahan explained. He noted his attorneys expressed confidence to be able get Mumia the vital treatment he needs and deserves.